The flag flies on the Hampshire College campus in Amherst Friday, December 2, 2016. 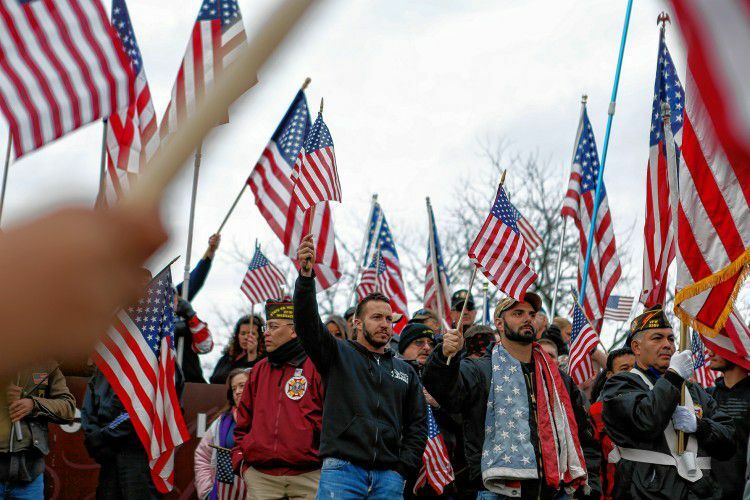 Hundreds rally at Hampshire College on Nov. 27, 2016 to protest the school's decision to hold off on hoisting the flag in the center of the Amherst campus. 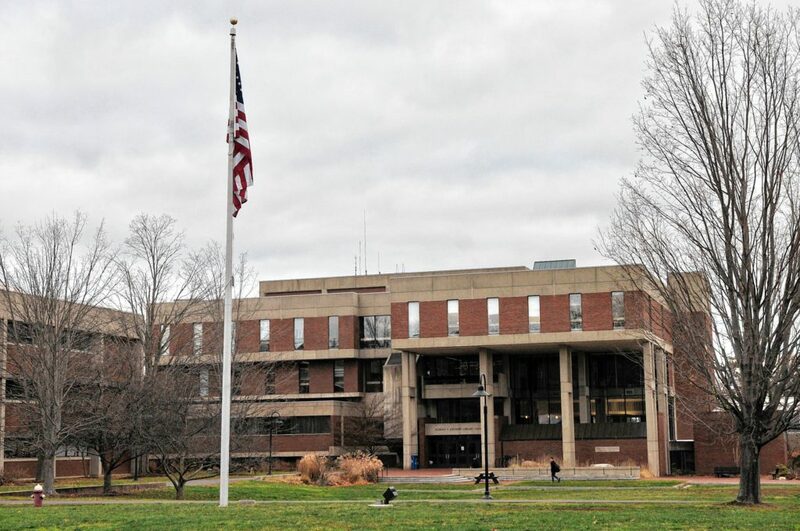 Hampshire College removed the U.S. flag indefinitely after, since Election Day, it has been set ablaze, replaced, and lowered to half-staff. Forced to Fly a Flag? Editor’s Note: This letter is in response to Hampshire College’s recent decision to stop flying the American flag on campus. Shortly after receiving this letter, threats made against students, faculty, and staff were part of a decision at the college to raise Old Glory again on Dec. 2. Our traditional U.S. flag is a great symbol of our country’s history: the start, the wars, the unification of all the states. But there is no law, that I know of, requiring anyone to fly the U.S. flag on non-governmental grounds. I was born on Flag Day. Now we must — we must — recognize new thinking. I propose we all start flying three — no four flags: The United Nations flag, the Olympic flag, the peace rainbow flag, and the POW/MIA flag. Here’s why: We are truly one people; the Olympic spirit showcases the height of human endeavours; the peace flag is a symbol of American values; and the fourth recognizes our forgotten soldiers who gave their all so we can be all individually human and each one a different American. I am so proud of Jill Stein to contest the results of the 2016 presidential election in three states: Michigan, Pennsylvania, and Wisconsin. She’s bringing up the issues of the many ways our elections are undemocratic: riggable electronic voting machines, names deleted from voter rolls for a myriad of reasons, voter IDs, the Electoral College. And there are other issues like long lines, superdelegates, Citizen’s United, closed primaries, gerrymandering which affects the makeup of our House of Representatives, the Supreme Court’s eliminating the Voter’s Rights Act, that she didn’t address. She talked about Democrat shenanigans in the primaries to stop Bernie Sanders. The Green Party is divided on this, claiming this favors the Democrats. This is totally ridiculous. We are long, long overdue for an examination of our voting system. We’ve seen election after election stolen and had our hearts broken in 2000 and 2004. What will it take for our country to clean up its system, to dump voting machines in favor of paper ballots? Two bright notes: New York state voted to improve its redistricting system and Maine voted for Rank Choice Voting, where you can vote your conscience and then for a second, third choice, etc. I was shocked to see Massachusetts has bought into Crosscheck, the sinister computer program that is supposed to prevent people from voting twice, but has been used to take similar minority names off the roll. We all need to support Jill in her fight for fair elections.